A whole house water filter, water conditioner, air purification system, or drinking water system from RainSoft will significantly improve the quality of life in your Denver, Colorado, home. RainSoft is a leader in the water treatment and air purification industry, and we have proudly served homeowners in Denver and throughout North America since 1953. When you count on us to take the worry out of your water, we’ll schedule a consultation with one of our knowledgeable technicians, who will visit your home to perform a comprehensive water test. 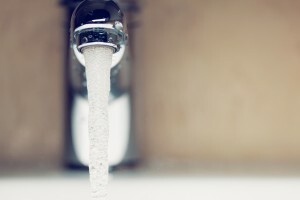 This will enable us to determine whether any impurities are present in your water supply and allow us to recommend the best products to remedy any issues we detect. Whole House Water Filters – Our QRS whole house water filtration system uses an advanced carbon block filter to remove the chlorine often found in municipal water, as well as other contaminants such as VOCs (volatile organic compounds.). We also offer other problem-solving filters, which are designed to eliminate specific contaminants that may be found in your water supply, such as excess iron, sulfur, or chloramines. Water Conditioner Systems – The water conditioner systems we offer use ion exchange technology to replace the calcium and magnesium ions that cause water hardness with potassium and sodium, yielding soft water that will never form mineral buildup on your appliances, dishes, and flatware. Drinking Water Systems – Our drinking water systems are designed to provide you with great-tasting drinking water right at your tap. In particular, our premium Ultrefiner II drinking water system uses reverse osmosis technology to ensure that impurities are removed from your water at the molecular level. In addition to these high-quality water treatment systems, RainSoft offers premium air purification products for homes in Denver and the surrounding areas. Our AirMaster Ultra is a whole-house air purifier that utilizes Ultraviolet light technology to destroy bacteria, viruses, and other airborne contaminants. This cutting-edge system runs silently and will never require a filter change, and is adept at removing dust, pollen, mold, pet dander, and much more from your home’s air. For more information about the home water filtration options, water softener systems, and air filtration products we have available in Denver, CO, contact your local authorized RainSoft dealer today.